Genesis X-ray Microanalysis System is designed with a single window user interface allowing for straightforward, yet flexible analysis. 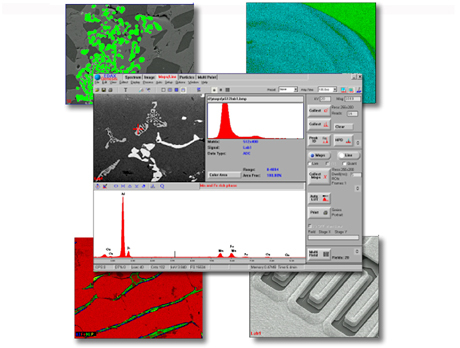 The user interface allows the user to move quickly between microanalysis techniques with all the necessary tools and detector controls available within one software package. The Genesis Apex system is designed around the EDAX Apollo Silicon Drift Detector (SDD), innovative digital pulse processing electronics, and Genesis analytical software. Smart Phase Mapping allows users to interactively work with dataset during collection.